Kareen Sturgeon, Professor of Biology, reading On the Origins of Species, by Charles Darwin. 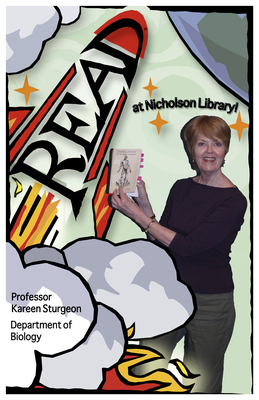 Terry, Paula and Nicholson Library Staff, "Kareen Sturgeon READ Poster" (2007). READ Poster Gallery. Image. Submission 9.